If you do not meet the entry requirements for your chosen course, you might be interested in one of our pre-sessional English courses. ICP offers Pre-Sessional English courses to students who need to improve their academic English language skills before commencing their chosen foundation course. Students studying English language are part of the ICP student body and have access to the same university facilities as those in academic courses. The courses are offered directly prior to each academic intake. Successful completion of the Pre-sessional course guarantees you a place on the following academic stage at ICP. Why study Pre-Sessional English language course at ICP? For those students who require additional English language preparation ICP also works in partnership with Language Specialists International (LSI) to deliver English language tuition from IELTS 4.0 upwards. LSI offers short and extended English courses of between 8 and 25 weeks and you will receive direct progression on to your ICP pathway upon successful completion of the course, without having to sit another IELTS exam. 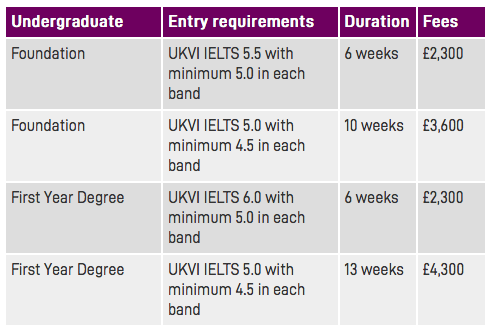 Why study pre-sessional English at LSI?